Fleming liked to surround himself with stories, his fertile mind finding romance in the most mundane item. Cars, clothes, food, cigarettes and travel – he wove legends around them all, but none were so memorable as those involving drink. A martini was, famously, Fleming’s favourite drink. It isn’t, however, the one that appears most frequently in the Bond novels. The winner here is champagne with 121 mentions, followed by whisky at 77. Many fans of the Bond novels relish the attention paid to the food and drink enjoyed by their hero. Like his creator, James Bond is an epicure and takes great pleasure in his food, with particular care dedicated to a good breakfast. Perhaps because he knows that every meal may well be his last, he ensures each is of the highest quality. This cocktail – a member of the fizz family thanks to the egg white and champagne – is designed as the perfect accompaniment to a fine breakfast. The predominance of dry flavours (gin, sherry, grapefruit) is levelled by a shot of sugar syrup, and the red fruit notes of the fine pink champagne (Taittinger for preference, as specified by Bond). This is a bracing, energizing breakfast tipple, certain to set you up for the day – even if you haven’t been to bed. 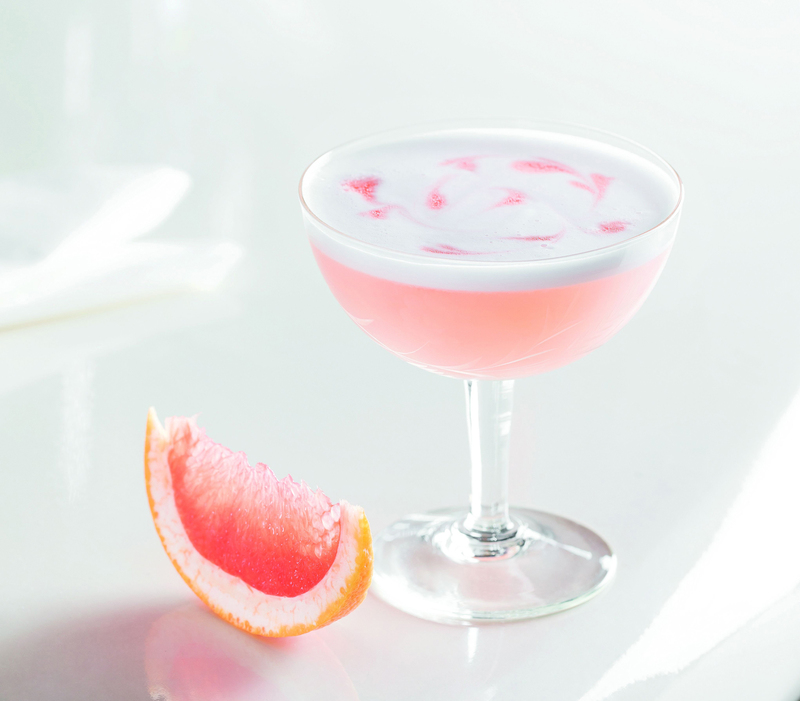 Ingredients: 35ml Tanqueray Gin (£25.50, Ocado), 15ml Tio Pepe sherry, 20ml grapefruit juice, 2tsp lime juice, 20ml simple syrup (mix equal quantities by volume of water and white caster sugar and stir until the sugar has dissolved), 20ml egg white, 50ml Taittinger Prestige Rosé (£49.99 Waitrose) or other pink champagne. Garnish: Peychaud’s bitters, pink grapefruit slice. Method: Measure the ingredients, except the champagne, into a cocktail shaker without ice. Shake vigorously to whip the egg white into a foam, then top up with ice. Shake vigorously again, then strain into a large coupette. Top up with champagne and garnish with a a streak of Peychaud’s bitters and a pink grapefruit slice. The Beretta .25 automatic is Bond’s beloved handgun, first appearing in Casino Royale and accompanying 007 on all his missions until it is retired in Dr No at the behest of M. The Beretta has a “skeleton grip” for easier firing and a chamois leather holster for invisibility beneath a suit. It is as much a part of Bond’s attire as his tie or his shoes – ritually prepared before 007 may enter the fray. Although Bond’s choice of gun subsequently changed through Fleming’s series of novels, and ranged further still over the course of the movies, his guns are all compact, effective and lethal. So it is with the Trigger Finger. Smooth and finessed, with its hefty slug of very dry vermouth and lashings of absinthe, this version of a Dry Manhattan is sure to hit the mark. Ingredients: 50ml Glenfiddich 12 Year Old (£30.95, The Whisky Exchange) or other single malt whisky, 30ml Noilly Prat, 1 1/2tsp simple syrup, 1tsp Parfait Amour, 2 dashes of Angostura bitters, 2 dashes of absinthe, strip of lemon peel. Method: Measure the liquid ingredients into a frosted mixing glass and top up with ice. Stir until very cold, then strain into a frosted martini glass. Spritz the lemon peel over the glass to express the oils and discard, then garnish with a primrose flower. The Dry Martini is perfectly suited to James Bond’s character: The drink is simultaneously blunt and sophisticated, brutal and refined. If Fleming’s writing and correspondence are anything to go by, it was the cocktail he obsessed about more than any other – it is mentioned 58 times in the Bond series alone. 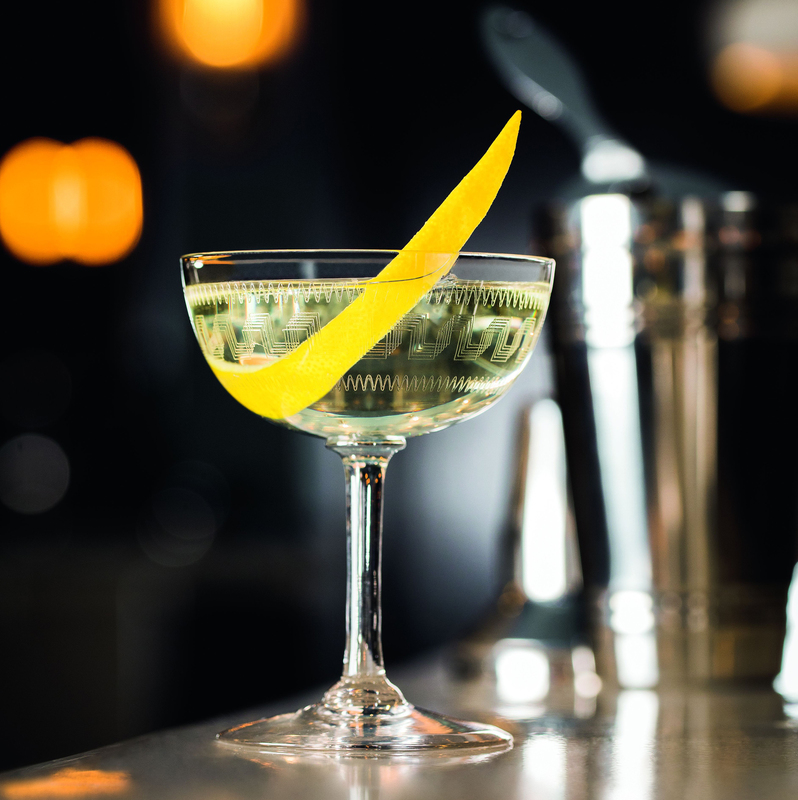 And rightly so: Like many deceptively simple classic cocktails, the concept and execution of a Martini can vary wildly according to the skills and preferences of the bartender. Although today’s consensus dictates that a martini’s clarity and texture is improved when stirred, in this book we defer to Fleming himself, who, like Bond, preferred his shaken. Ingredients: 75ml vodka or London Dry gin, 2–20ml dry vermouth. Method: Measure the ingredients into a cocktail shaker and top up to the brim with ice. Shake vigorously until very cold, then strain into a frosted martini glass or coupe. NOTE: While the choice of gin and vermouth make a significant difference to the flavour of the drink, it is their ratio which really defines its character. Preferences range from “bone dry”, where a tiny dash of vermouth is surreptitiously wafted into the mixing glass, to “wet”, which can call for as much as a 1:3 ratio of vermouth to spirit. As a general guideline, vodka martinis tend to be prepared slightly “wetter” than gin, as the vermouth imparts a level of flavour that vodka traditionally lacks. Ian Fleming had a long fascination with diamond smuggling, and his investigation into the illicit trade in 1950s Africa yielded both a well-received non-fiction book, The Diamond Smugglers, and the James Bond novel Diamonds Are Forever. In it, Bond investigates a diamond-smuggling pipeline which begins in French Guinea and ends in Las Vegas. 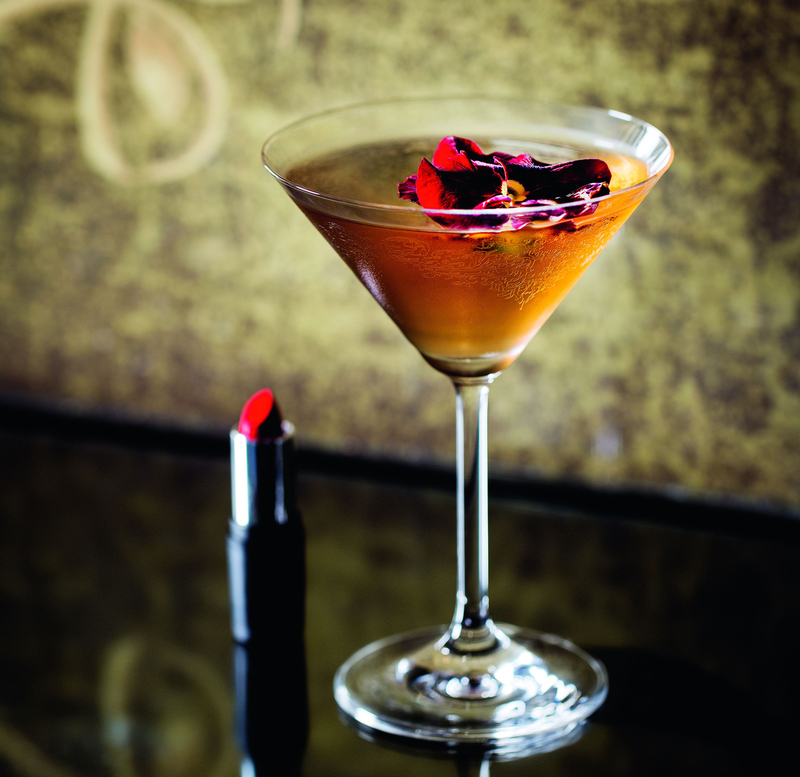 The title calls for a drink that is clear to the centre, but with remarkable depths of flavour. Against the backdrop of an excellent vodka, subtle notes of pear and citrus complement a light and floral champagne, and the aromatized wine (Lillet Blanc) adds enough complexity to make this cocktail an enduring classic. A chunk of clear ice keeps the drink chilled with minimum dilution and provides a smart visual reference to the name of the drink. 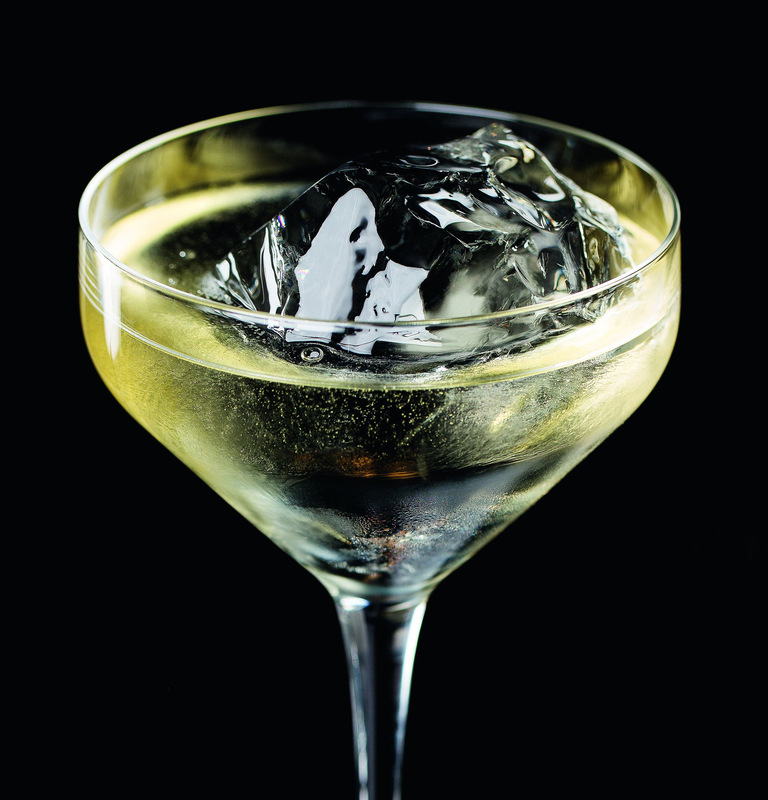 Ingredients: 15ml Belvedere vodka (£32.45, 31 Dover) or other premium vodka), 1/2tsp pear eau de vie, 15ml crème de poire, 15ml Lillet Blanc, 2 dashes of lemon bitters, brut champagne, to top up. Garnish: Strip of lemon peel, jasmine flower. Method: Measure the vodka, eau de vie, crème de poire, Lillet and bitters into a frosted mixing glass and top up with ice. Stir until very cold, then strain into a frosted coupette over a single large chunk of ice, preferably moulded or carved into a diamond shape. Top with the champagne, spritz the lemon peel over the glass to express the oils and discard. NOTE: Ice chunks are the next level up from a cube. Many cocktail bars now buy huge blocks of clear ice, which they saw or pick into the right size. 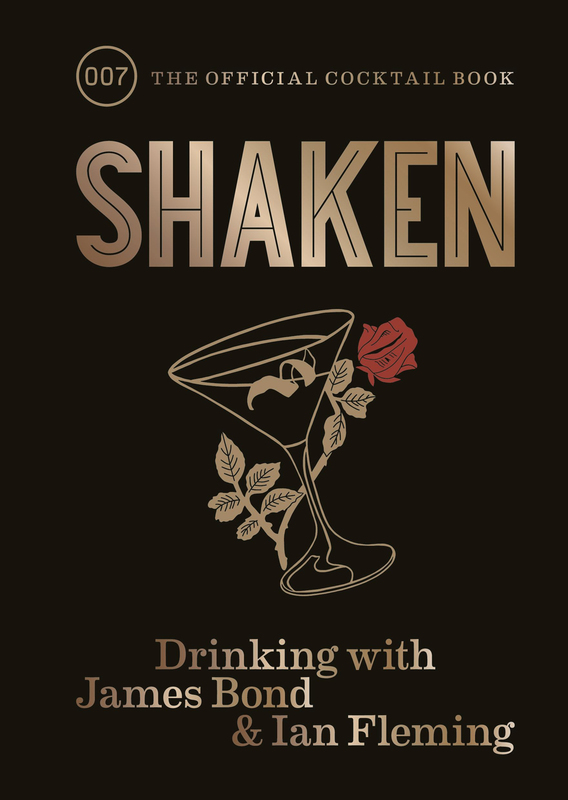 Extracted from Shaken: Drinking With James Bond & Ian Fleming, the official cocktail book in collaboration with Ian Fleming Publications and The Ian Fleming Estate and Bar Swift, photography by John Carey, published by Mitchell Beazley, priced £15. Available now (octopusbooks.co.uk).